If you have to get stuck, make sure it’s here. I put Zurich first because it’s got something none of the others do: hiking trails. The grounds surrounding the airport and nearby villages comprise a nature preserve. There are 12 miles of paths, wildlife like rabbits and wild boar, and even a park ranger force. 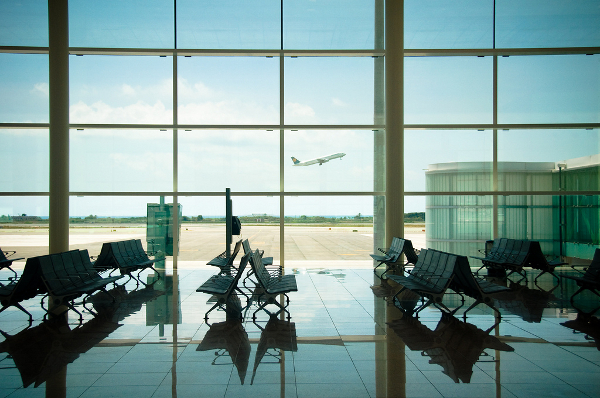 The best part is travelers can rent bikes ($20/4 hours) or inline skates in the airport (upper lever, near Garage 2), store their baggage while they go out for a pedal, and then shower up ($15) before their flight. Check out this story for more. The most unique facility here is the Plaza Premium Lounge, where a flat rate ($27/2 hours or $40/5 hours) gets you unlimited access to a range of services and entertainment. The lounge includes a decked-out business center with secretarial assistance and a recreation area with massage chairs, movies, and free beer and coffee. It’s open 24/7. 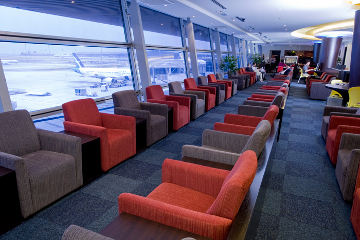 New Zealand’s busiest airport seems most highly regarded for being an easy sleep spot. Seats in the upstairs lounge are stretch-out-able, there’s 24-hour snackage available, and announcements are made at minimal volume. 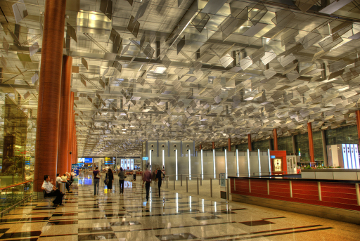 A heavy hitter, Changi snagged first place in the 2010 Skytrax World Airport Awards. It mixes smooth accessibility with traveler-friendly amenities like free wifi, Xbox/Playstation consoles, and lounge chairs with built-in alarm clocks. That last one helped earn it the 2010 Golden Pillow Award from sleepinginairports.com. What does it for me, though, is the swimming pool and jacuzzi at the Ambassador Transit Hotel in Terminal 1. Non-guests get in for S$14 (~US$10). Seoul’s international hub was dethroned by Changi this year after taking top prize in 2009. It’s easy to get around, clean, architecturally attractive, and equipped with in-transit loungers and play areas for kids. On top of that, rotating exhibits of cultural artifacts are presented by the Incheon International Airport Korean Culture Museum. Wait, don’t scroll down to leave an angry comment just yet! 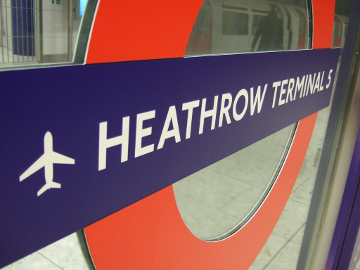 I realize much of Heathrow is a dump. I mean, it was voted world’s worst in 2009 by the Priority Pass program. What we’re talking about here is specifically Terminal 5, where those with large amounts of time and money to burn can do so with what Skytrax has voted best airport shopping. Built in 2001, Athens still has that new-airport smell. 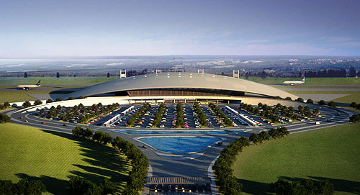 Special features include green space next to the control tower and the latest in robotic security technology. But what caught my attention is it’s a “silent airport.” Flight announcements aren’t made over the PA, which means this might just be the best airport for a full night’s sleep. Carrasco’s new terminal, opened this summer, is all glass and sleekness. Its design alone earns it a spot on this list. Plus, with Argentina’s reciprocity fee in force, Montevideo is set to become a more popular gateway to Buenos Aires, just across the river. Located on an artificial island in Osaka Bay, Kansai is just one terminal, but it’s the longest terminal in the world (over a mile). That makes for some nice, long, time-killing walks. 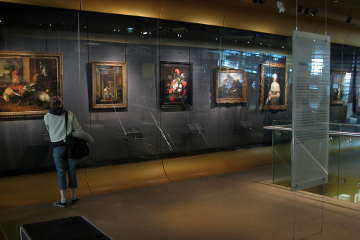 The Rijksmuseum operates a branch in Schiphol, featuring Rembrandts and other iconic examples of Dutch art, and an airport library opened just a few months ago. For something less cultural, try the casino. Or, for those stuck here for a really long time, meet someone special, fall in love, and get married. The airport wedding planner is happy to assist. Sorry, no coffeeshops at Schiphol.